The following article seeks to analyse the legality of sampling through a case law analysis, deciphering the various issues involved and the principles applied by the courts. Can classic works which are now in the public domain be sampled? If a contemporary producer were to take the works of Vivaldi, (western music composer who passed in the year of 1741) and merge them with his own drum programming, vocal chops, soft synth arpeggios and call the same his own work, would this be legal? 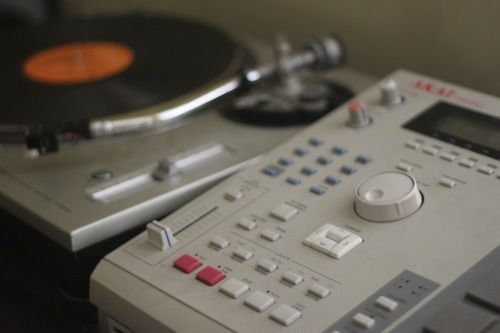 What is sampling and why is it essential to new works? This allows artists to take something that already exist and apply their own unique sound scape to make something novel of the same, it can be of the sound recording itself, manipulation of the recording, version recording of the sample by recording the same music on different instruments, either virtual or natural. It is important to first categorize the difference between those copyrights granted for musical works and those of sound recordings or mechanical rights. 2) wherein the copyright constitutes the sound recording. The difference between the two has been emphasized on because the rights that are accompanied by the two vary. In the first case with regard to the musical work, the composer owns the copyright in the music and all or any of the words that may be supplemented by the music. In this first instance the composer enjoys exclusive rights. In the second case, with regard to sound recording, the composer enjoys only the right in the recorded version of the performance and to reproduce and distribute copies of the same recordings. Thus, a sample may infringe upon on a part of the sound recording but since this sound recording is separate from the underlying musical work, the sample may not infringe upon the musical work in itself. Infringement by itself is subjective in nature depending whose outcome would depend on the judge hearing the case. In some instances, judges believe that even a minute sampling of one note could create enough grounds for infringement under copyright laws while some hold, only a substantial amount of sampling can be considered copyright infringement. ‘DJ shadows album similarly used thousands of copyrighted samples from diverging artists to compose his own album. The second part of the article seeks to analyse the principal and case law perspective used by the courts in determining cases.